I frequently sell items on online market places such as Ebay or Amazon and for smaller items I usually post the items using the UK Royal Mail. What a lot of people are not aware of is that if you send items that are worth less than £20 you can make a claim with the Royal Mail if the item arrives damaged or gets lost in the mail. 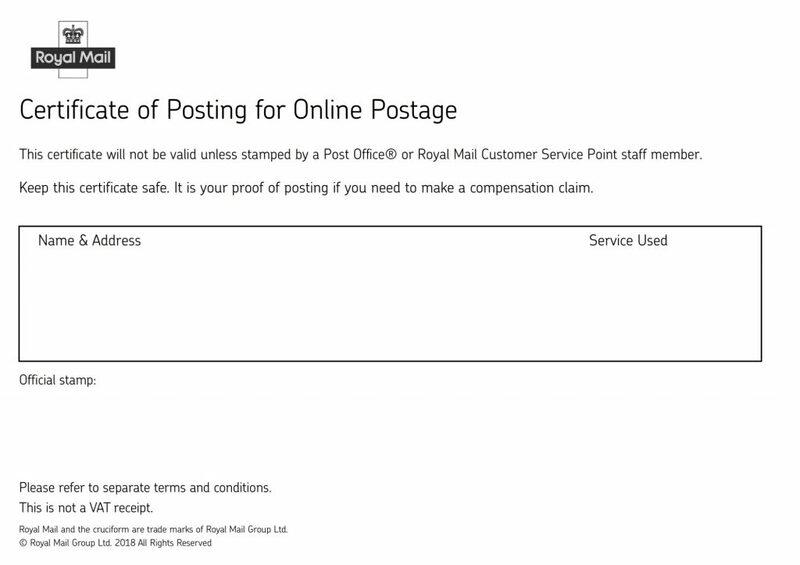 To qualify for receiving compensation you need to complete a certificate of posting and get this proof of posting certificate stamped by your Post Office when posting the item. 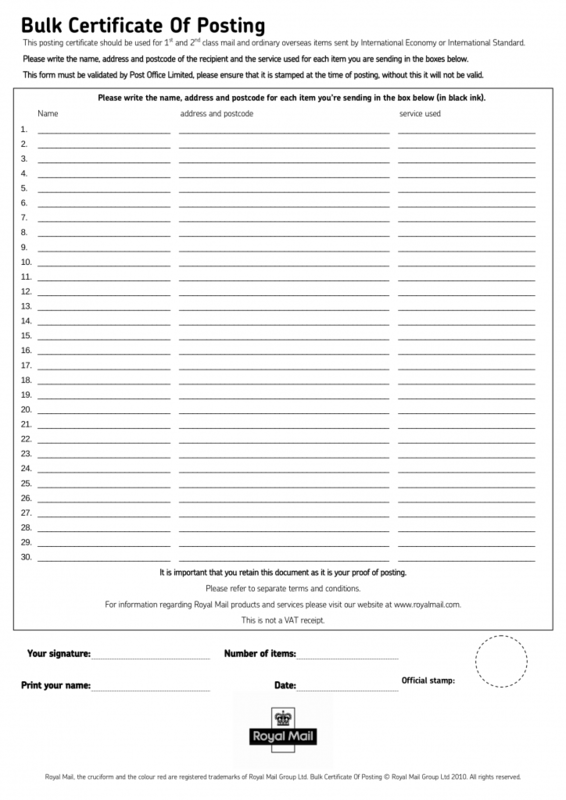 There are a number of ways to obtain a proof of postage certificate. 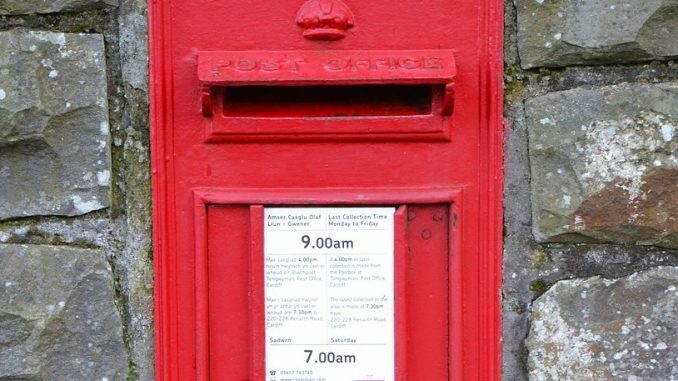 If you pay for your postage in the Post Office the receipt that the Post Office staff give you should qualify as your proof of postage as it will have the postcode and house number of the address your posting the item to, which is enough to be able to make a claim with the Royalmail. If you use postage stamps to pay for your postage, the Post Office should provide you with a receipt of the item which will act as your proof of posting certificate. But many people find that the Post Office staff can be reluctant to do this, as they do not get paid for offering this and at busy times it can cause queues. The Post Office used to offer P326 or P6159 certificate of posting pads which you could write your parcel details on before you arrived at the Post Office. The post master would just need to stamp your certificate to prove you had posted the items. 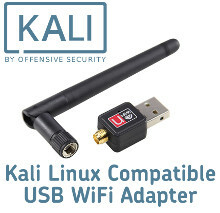 Unfortunately these have been phased out and unless your lucky enough to have a local Post Office that still has some in stock you will probably find them difficult to get hold of. 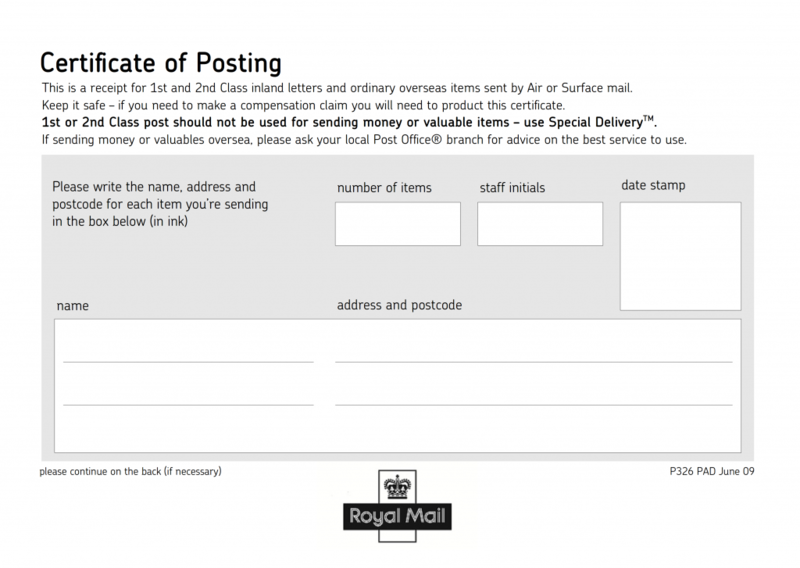 If you are sending several items there are other options, The Royal Mail allows you do download bulk certificates of posting templates which you can print out using your printer and then take into your local Post Office or Royal Mail sorting office to get stamped when you drop of your mail. 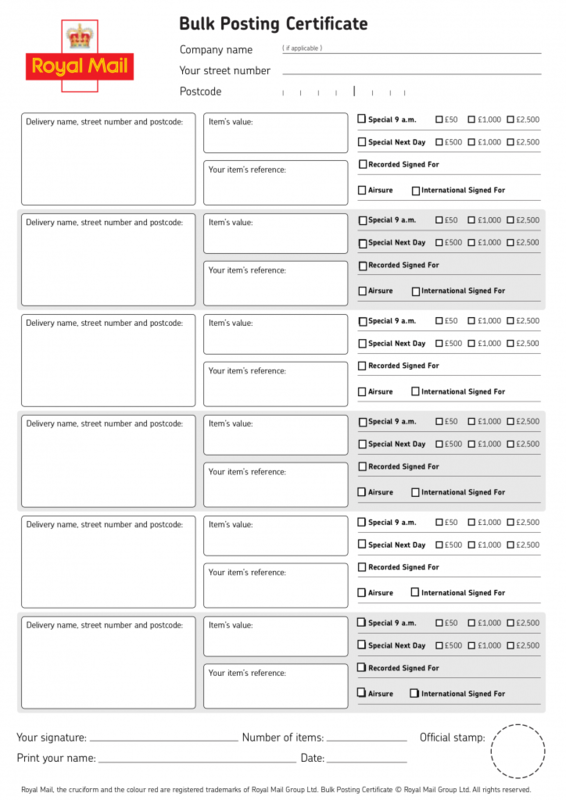 These templates are offered free of charge and I have printed them and used them myself for several months and they have been accepted at the Post Office and Royal Mail depot without issue. I bear no responsibility for any failed compensation claims that may result from using these forms.